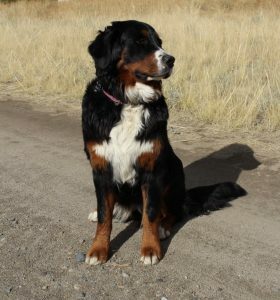 Raja - Montana Berners - Bernese Mountain Dogs in Bozeman, Montana. 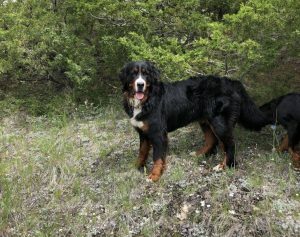 | Montana Berners - Bernese Mountain Dogs in Bozeman, Montana. Raja is our darling. She is incredibly sweet and gentle. Although she can hold her own, she is always the one to step back and let the little guy have some of her breakfast. 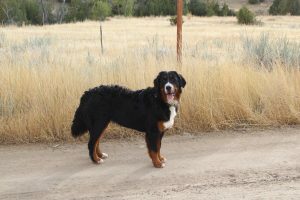 She is elegantly built with the most vivid rust colored markings.